We have learned a thing or two throughout the years in the fiberglass manufacturing industry. Boat building and fabrication of automotive components has been very beneficial for our fiberglass pool manufacturing. One of the takeaways is textured surfaces for pools. 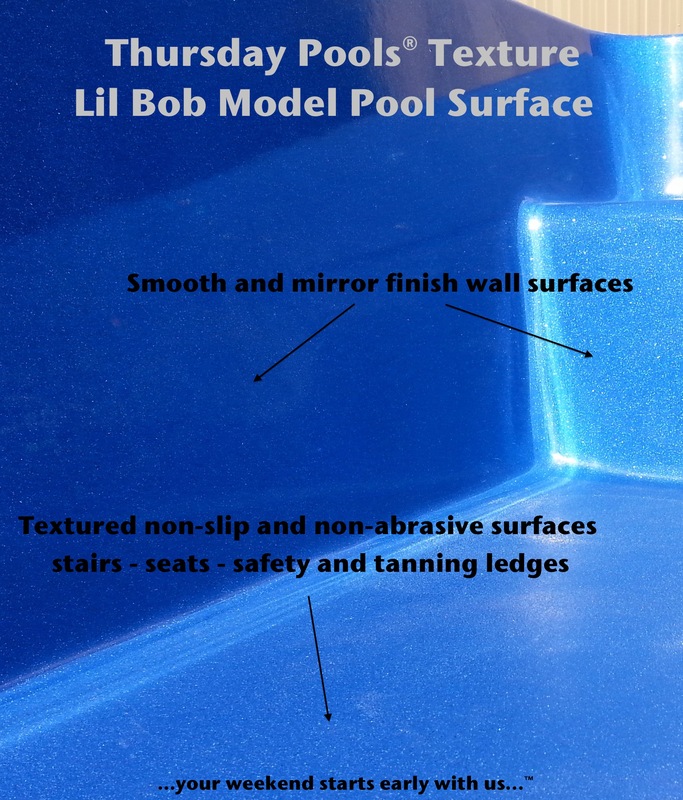 Thursday Pools® uses a proprietary process to produce our textured surfaces on each pool. The steps, seats, tanning areas and safety ledges all have this proprietary surface finish. This textured surface provides a non-slip surface while at the same time is easy on the skin. The surface is smooth to the touch but provides an excellent non-slip area to walk on. Is the technique to produce this surface patented? 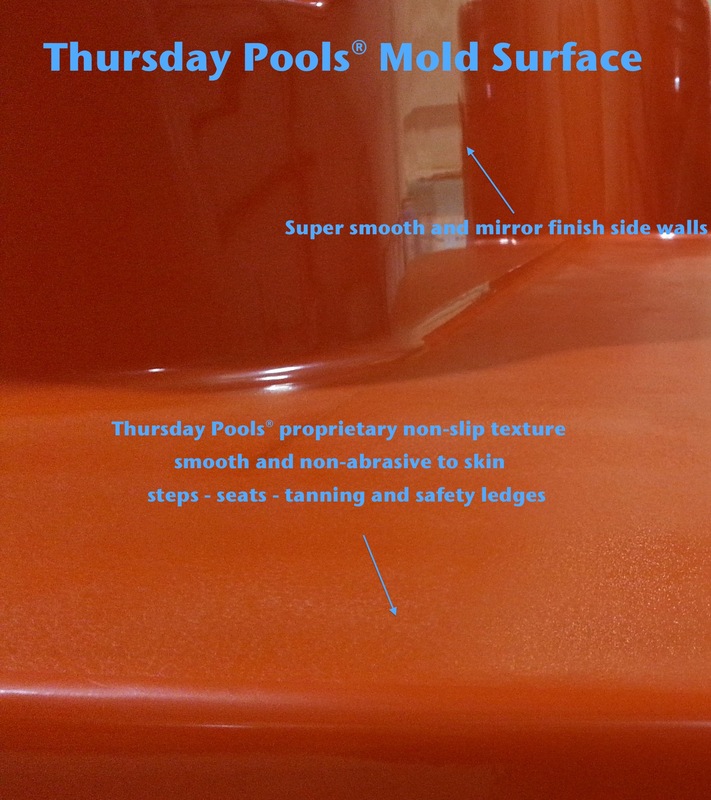 No, but it is one of Thursday Pools® trade secrets which differentiates us from other pool manufactures. With thirty years in the fiberglass industry: marine, automotive and pools, what would you expect?